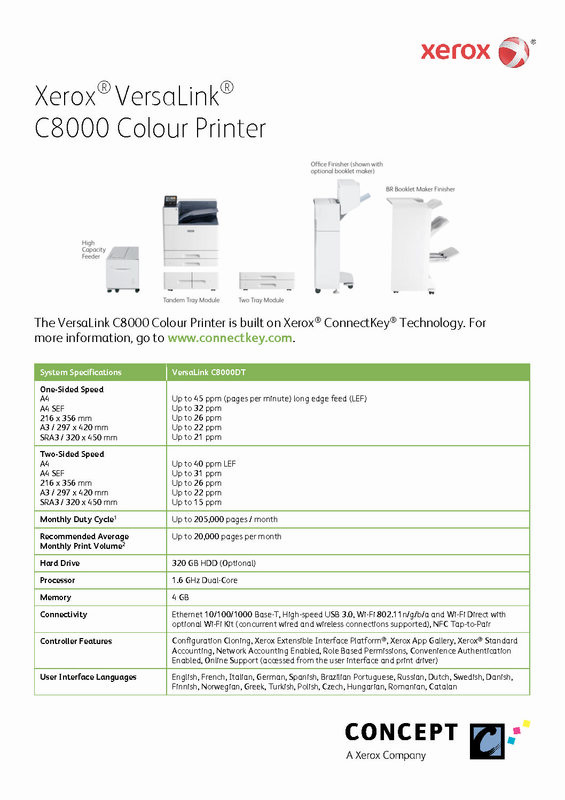 The Xerox VersaLink C8000 brings unrivalled colour, reliability and performance. 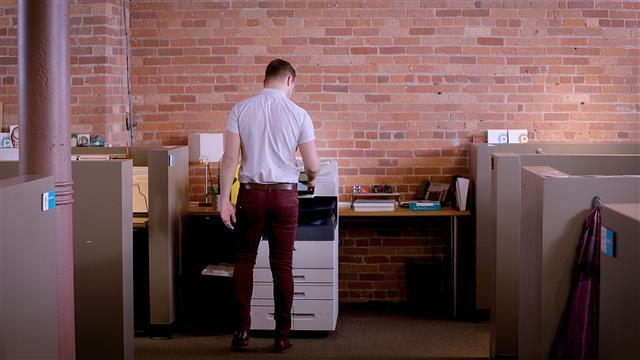 When you need professional colour, flawless reliability and top productivity in a well-connected printer, count on the VersaLink C8000 and C9000 Colour Printers with Xerox ConnectKey Technology. 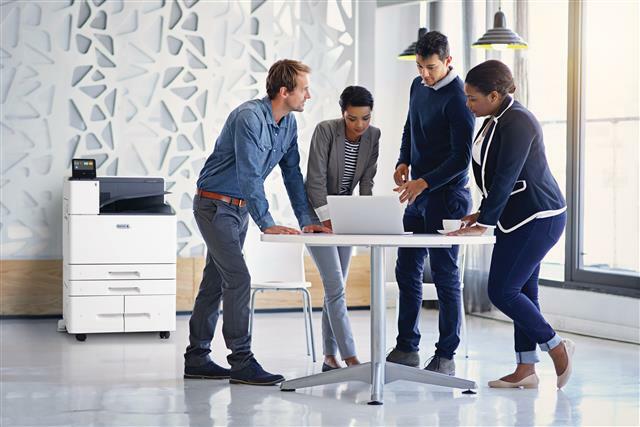 The feature-rich, app-enabled C8000 is ready to be customised as your workplace assistant. 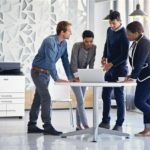 The C9000 adds greater media flexibility and precision colour matching and control tools for graphic arts professionals and creative agencies.